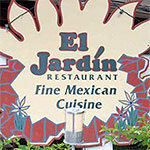 Great Mexican food and top notch service! Everyone in your party will be pleased. Enjoy a variety of options for fresh made, authentic Mexican food. Even the pickiest eater will be satisfied! Stop in for delicious appetizers, soups, salads, entrees, specialties, and even kids’ meals.